Christmas has become an expensive holiday for young people in Korea. Many restaurants dish out set course “Christmas Meals” at double usual prices. Lodgings are offered at exorbitant prices, amid a surge in demand. Clubs and bars are much the same, tacking on extra charges for Christmas tables. Even for those willing to fork out the money, all these are hard to come by, as rooms and tables are quickly booked. Amid skyrocketing prices, some women especially in their 20s and 30s are seeking out alternatives to allow them to celebrate without the feeling of being ripped off by places taking advantage of the holiday cheer. For instance, they celebrate Christmas before the actual day at local hotels to avoid higher prices over Christmas weekend. Each year, Yoon Ji-hye, a 24-year-old employee at an electronics company, holds a Christmas party in a hotel room with friends a week early. During the festive season, many hotels in Korea offer party packages that include a large room prepared with food and drink -- at a considerable price for the Christmas weekend. 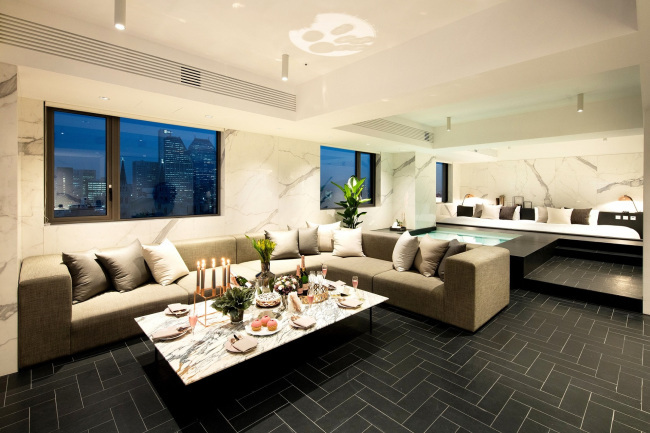 Riley Jung, manager of boutique hotel Gladlive in Gangnam, Seoul, said those who purchase the party packages to host small Christmas parties are mostly young women in their 20s and 30s. Customers like Yoon welcome such year-end hotel packages due to the convenience. “It would be bothersome if we had to prepare the drinks and food ourselves. That’s not really a party,” Yoon said. But not everyone opts for Christmas packages from hotels. Others prefer to customize their parties and choose convenient food packages from elsewhere. 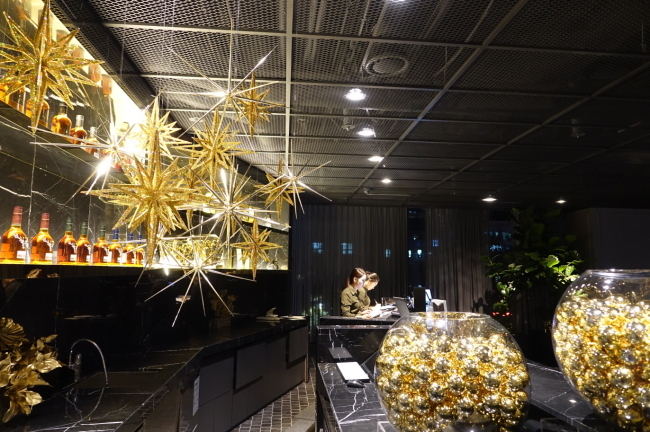 This writer held a small, early Christmas party this year with three of her closest friends at a hotel in Seoul. The front desk graciously received the package of Christmas food, ordered online. After the four of us had decorated the room to cultivate the Christmas mood, the night flew fast. Not a crumb was left of the classic chocolate cake, as the charcuterie, cheese and wine were well taken care of as well.